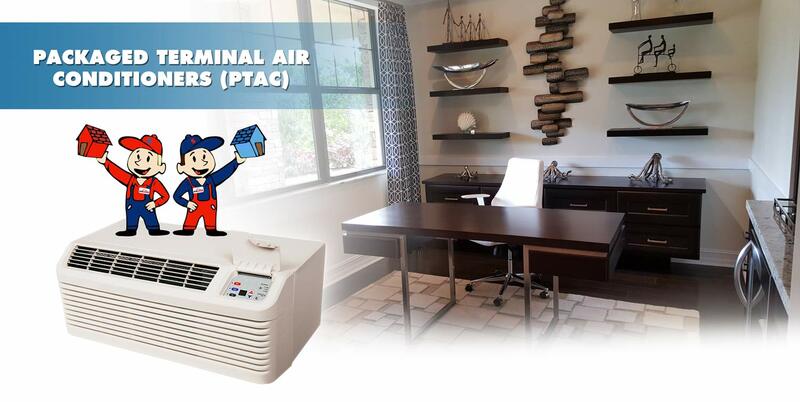 A popular choice for apartments, hotels, and residences, packaged terminal air conditioners (PTAC) offer heating and cooling within one unit. They are regularly designed to be enclosed in a wall, with one side exposed outside the building. If you are replacing your PTAC unit, AirZone specializes in matching your model with a more efficient unit that will have a similar if not an exact fit. This is especially important for our clients who simply want to swap out their old unit for a more efficient one. The new products available today offer a large reduction in utility costs when compared to some of the older equipment. Work With Your Neighbors And Save On Your PTAC Unit! We offer significant savings when we are able to replace more than one unit in a building. Our labour and transportation costs are reduced and we are able to pass those savings on to you! Why not ask your neighbors or your building manager if they are also interested in replacing their PTAC(s)? Everyone saves when you combine! When we install 3 or more PTAC units in one building for 3 different customers, we will offer a discount of 10% off of the equipment cost (for each customer). When we install 5 or more PTAC units in a single building, we will offer each of the 5 customers a discount of 20% off of the equipment cost of each PTAC unit! Please note… Installations must take place at the same time in order to receive the discount. This promotion may not be combined with any other offers.